Mechanical pencil features a side-click lead advance, transparent barrel design and a latex-free comfort grip. Convenient side button allows the 0.7mm lead to advance effortlessly without changing hand position. HB lead inside is equivalent to a No. 2 wooden pencil and scans on standardized tests. Turn dial left to advance eraser, and right to retract. The refillable, extra-long twist-up eraser feature allows longer use. 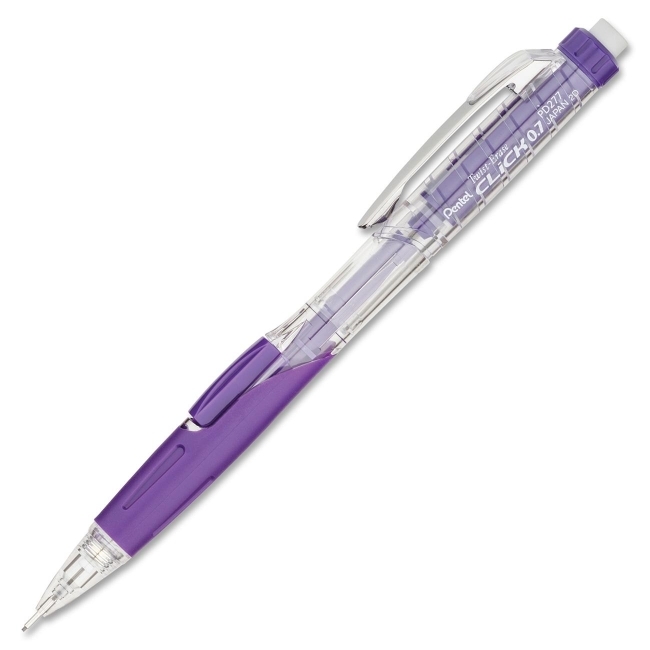 Twist Erase Click Mechanical Pencil is refillable with Pentel Super Hi-Polymer Lead and E10 jumbo refill eraser.